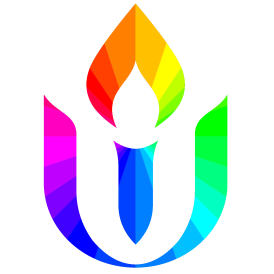 Our Unitarian Universalist Association is in a time of great turmoil as we confront our institutional failure to become an anti-racist, anti-oppressive organization. Some brilliant and brave self-examination and real soul work is being done. Several leaders have stepped down, and a new leadership team with more persons of color has stepped up to serve. We will join more than 600 congregations who dedicated a service in late April or May to a “teach-in” about the pervasive effects of racism in our culture and our lives. 51 years ago in Hollywood, FL, the Rev. Dr. Martin Luther King, Jr. spoke to our General Assembly about the need for the church to fight this horrible curse among us. The work continues.